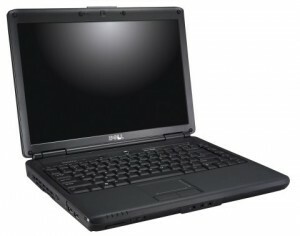 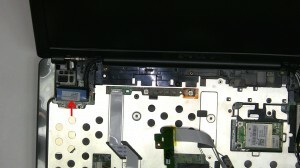 In this Dell laptop tutorial we are going to show you how to install and replace the Palmrest Touchpad on your Dell Inspiron 1420 / Vostro 1400 (PP26L) laptop. 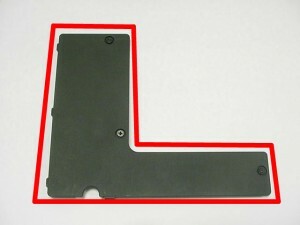 These installation instructions have be made into 17 easy to follow printable steps. We have also create a video tutorial that shows you how to install your Dell Inspiron 1420 / Vostro 1400 (PP26L) Palmrest Touchpad. 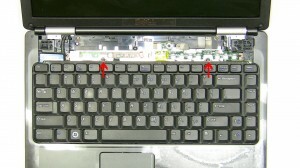 Loosen the 2 retaining screws. 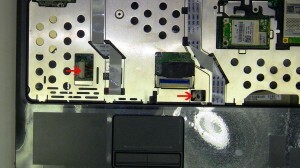 Lift the hard drive door away form the laptop. 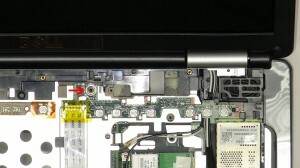 Using the black tape, lift the hard drive and caddy out of the laptop. 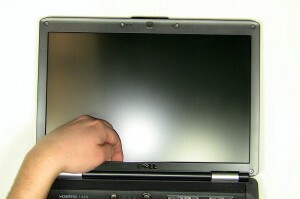 Lift the memory door away form the laptop. 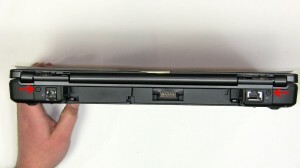 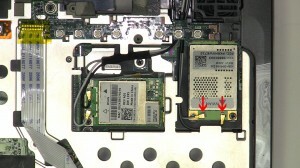 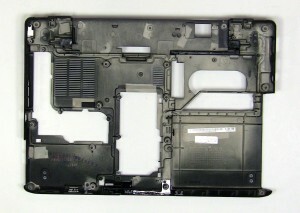 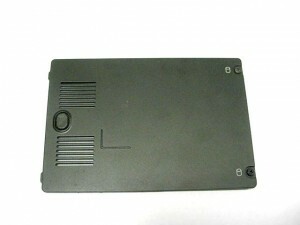 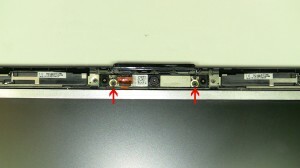 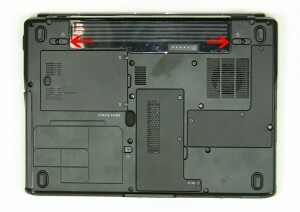 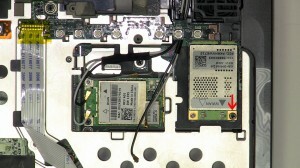 Remove the (2) 2.5mm x 8mm hinge screws on the bottom of the laptop. 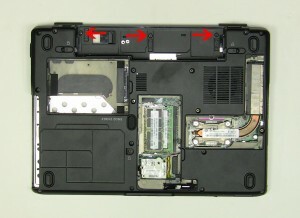 Remove the (2) 2.5mm x 8mm hinge screws on the back of the laptop. 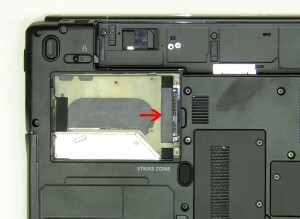 Remove the (13) 2.5mm x 8mm bottom base screws. Remove the (3) 2mm x 3mm bottom base screws. 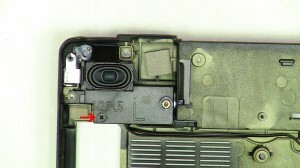 Remove the 2.5mm x 5mm bottom base screw. 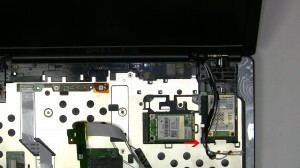 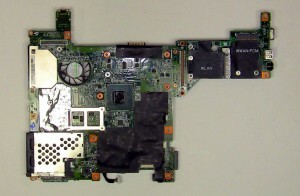 Remove the 2mm x 3mm screw on the media button circuit board. 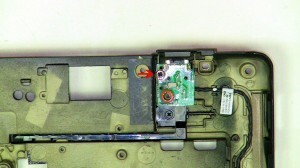 Loosen the media button circuit board and remove the antenna cables from under it. 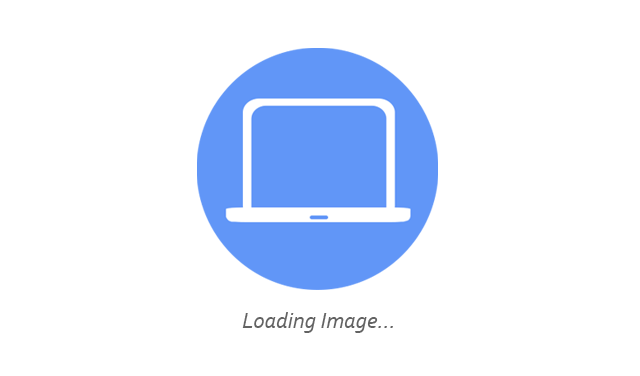 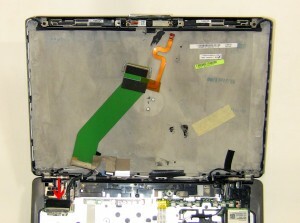 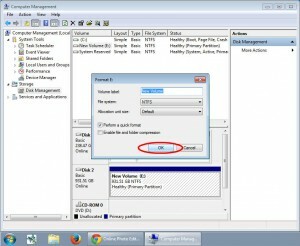 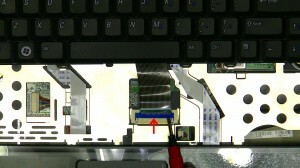 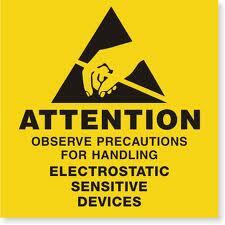 Lift the LCD display assembly away from the laptop. 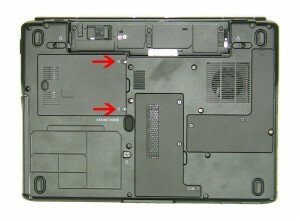 Remove the (3) 2.5mm x 5mm top palmrest screws. 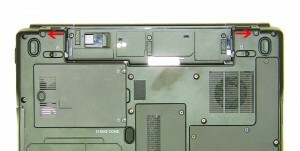 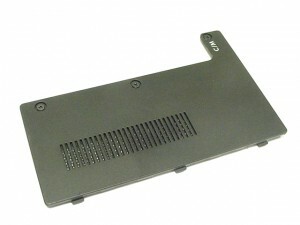 Remove the palmrest from the laptop base.